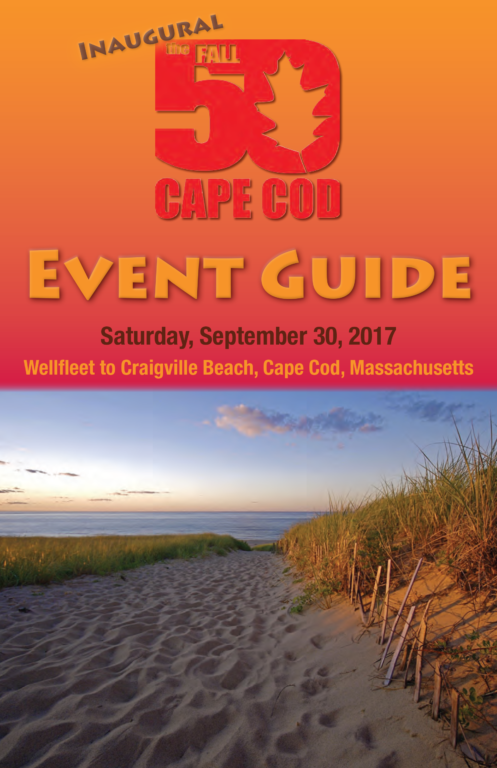 The 2017 Fall 50 Cape Cod Event Guide is now available online. It has the individual leg maps and lots of useful information for team members and captains. Full-color, printed copies of the event guide will be available at packet pick up on race weekend. Click on this article and the image at the right to download the Event Guide in PDF format.